Pack Barbie® doll for a world of possibility (doll sold separately)! 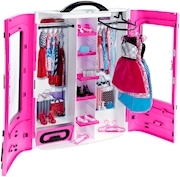 This pink Barbie® closet is not only designed for portability with carrying handles, but it also comes with clothing and accessories for lots of storytelling fun wherever you are. Decorated with Barbie® signature style, the vibrant pink closet features clear double doors for a peek into her wardrobe. To get the fashion fun started, the closet comes with trendy pieces that can be mixed and matched to create many looks. Two dresses are perfect for day or night with modern silhouettes, graphic prints and fun colors. Three pairs of shoes, two necklaces and two purses can change a look in an instant. 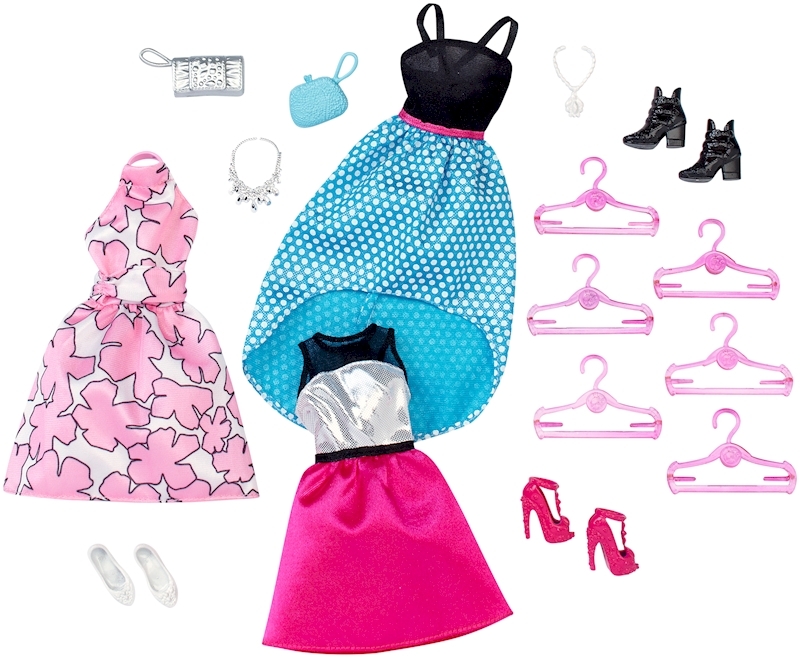 Dress Barbie® doll to suit your style or story. Then try on a new outfit, and tell a new tale. Pick a new setting, and pack up the fun to go anywhere. Six hangars help keep fashions organized, and working drawers and cabinets are perfect for Barbie® doll’s amazing accessories. The portable closet is ready to travel, because with Barbie®, you can be anything! Includes portable closet, two dresses, two necklaces, two purses, three pairs of shoes and six hangers; doll not included. Fashions fit most Barbie® dolls. Colors and decorations may vary. 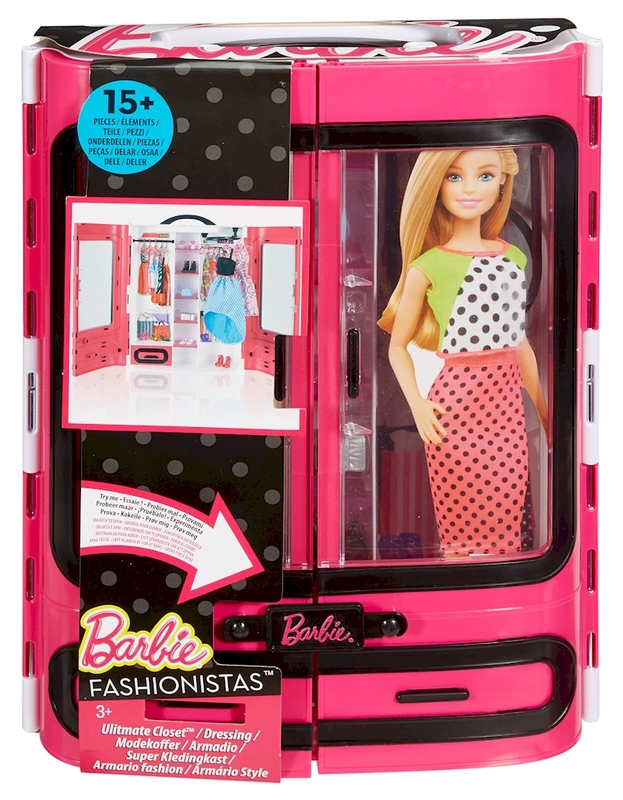 Features: This portable Barbie® closet has style inside and out with included fashions and accessories! The pink wardrobe is decorated with lots of glam accents. Clear double doors give you a glimpse into Barbie® doll’s fun wardrobe. Real working drawers and cabinets store accessories. The two dresses included with each closet are perfect for day or night with modern silhouettes, graphic prints and fun colors. Three pairs of shoes, two necklaces and two purses create different looks in an instant. A carrying handle is perfect for easy portability. Mix and match for fashion play and storytelling fun!